We are so excited- another super fun thing to do on a Saturday night in Brainerd! 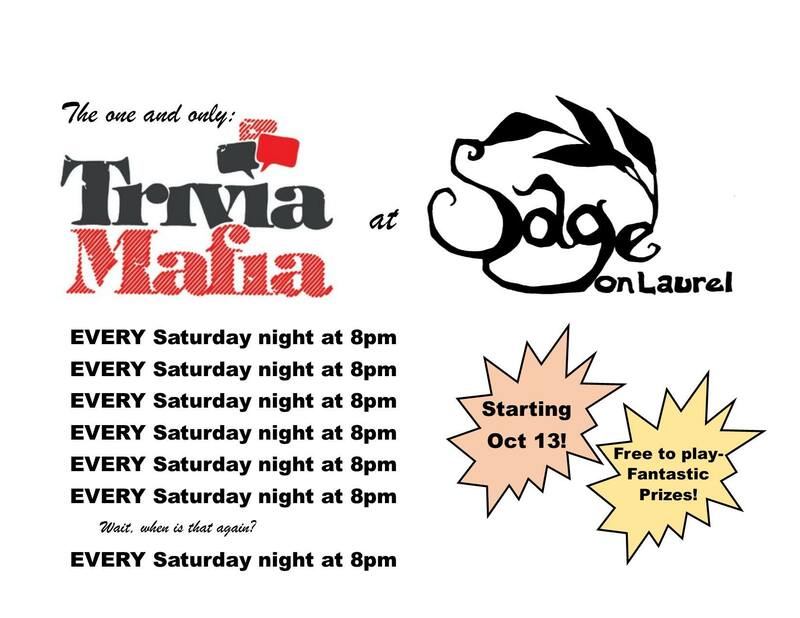 Trivia Mafia- EVERY Saturday night starting Oct 13th! It is free to play, and winning teams get bragging rights AND great prizes including Sage gift certificates!